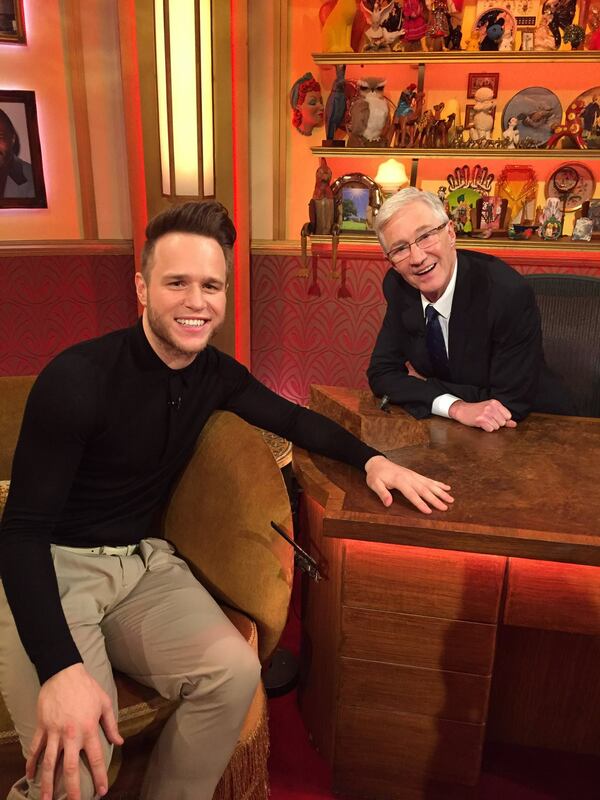 I did something pretty exciting over the Bank Holiday last weekend, as the week before, I got wind of the fact that Olly Murs was pre-recording his appearance as a guest – interview only – on The Paul O’Grady Show (below, credit to his Facebook for the picture) for ITV that aired last Wednesday afternoon. Lots of people, particularly from having been on TV quite a bit with Olly and others in the past, have often asked me how I manage to do it. So I thought for those of you who are interested that I’d use this blog today as an opportunity to give you a handy little ‘how-to’ guide of getting into the audience of a TV show recording. So. Getting into the audience of a TV show. It must be really difficult, I hear you cry? Well, yes and no. As they more often than not tend to be free, tickets for the audience of a major league TV show are actually some of the cheapest entertainment outlets you can get hold of – even after travel’s factored into the equation. You see, on a lot of primetime TV shows they’ll have researchers or external companies hired in to do the research – on the guests, on topics being covered etc – for that particular show to get an idea of what sort of ‘audience’ they’re aiming the show at at home. And their job also includes getting hold of an actual audience to appear at the recording of that show, if and when it’s required. This usually tends to be done in one of two ways: either by the production company in-house, or through an agency. The BBC does most of its audience booking through its own Shows & Tours website, which includes its bigger name shows like Strictly Come Dancing or Mrs Brown’s Boys but also radio programmes as well, like Sorry I Haven’t a Clue for Radio 4. For shows on ITV and Channel 4, as they are obviously independent television companies that aren’t funded by the license fee, most of their audiences are obtained through the external agencies I mentioned above. I’ll go through the main ones below. Applause Store – this is probably the best known of the audience ticketing agencies, some times, it has to be said, not for all the right reasons amongst those who know of them. Applause Store look after and are in charge of the audiences for a lot of the big ITV shows, including The X Factor, Britain’s Got Talent, Ant & Dec’s Saturday Night Takeaway, Celebrity Juice and also shows like Sky1’s sports panel quiz A League of Their Own hosted by James Corden and The Million Pound Drop hosted by Davina McCall for Channel 4. 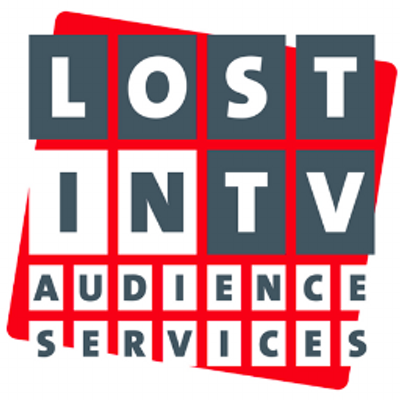 Lost in TV – perhaps less well known, Lost in TV manage the audiences for some more mainstream shows – The Paul O’Grady Show being one of them, as I was at. They also do Surprise Surprise with Holly Willoughby and The Cube with Phillip Schofield, both for ITV, as well as the audiences for the BBC’s Children in Need and Sport Relief telethons. SRO Audiences – SRO (short for ‘Standing Room Only’) look after the audiences of quite a lot of comedy based TV shows and daytime offerings. This includes Loose Women for ITV, Alan Carr: Chatty Man and 8 out of 10 Cats for Channel 4 and Pointless for BBC One. I’ve provided the links above for all of them. What you can do is either go on to the website of the agency, find a show you’re interested in appearing in the audience of and apply for tickets either immediately or through ballot, or if the show’s not going to be on air for a while, you can sign up to the agency’s newsletter which will let you know when and where tickets will be available from. Most of them have Twitter feeds you can follow as well. So I’ve got my tickets, sounds simple enough, I hear you say. Now here’s the caveat. Particularly for the more high demand shows like The X Factor the take up, as you can imagine, is absolutely enormous, particularly during the live shows in the autumn when guest stars come down to perform on the results shows when their fanbases (*cough*ONEDIRECTION*cough) will hound on them like rabid dogs. So these agencies and TV companies deliberately do what’s called ‘overbooking’. What that means is that they’ll supply more tickets for the audience than there is actual room for them in the studio. So basically, and if you get tickets to the show you want then they will, as such, advise you of this in the terms and conditions, that means it’s a first come, best dressed scenario – the earlier you turn up before doors open, the more likely you are to get in. Which basically means you can do one of two things – either turn up from anywhere between three or four hours before the doors open – and if you do this, I’d advise in investing a good book or magazine, something to eat and a warm jacket to keep you occupied. Or if that’s not an appealing idea, most of the agencies above have what’s called a priority scheme. You can either join this directly on their websites, or, on the unfortunate chance you don’t get in, they’ll automatically register you for forthcoming shows so you’ll get priority access above a normal admission for the next time you come down, so you’ll be guaranteed entry into the studio. Membership fees for priority schemes vary – for Lost in TV it’s about £2.99 a month, for Applause Store it’s about £50 a year, so make sure you do your research carefully. I’ve been through Lost in TV before for The Album Chart Show in 2011 for Channel 4, and as Olly was at that they sent along a ticket offer for me for that, even though it wasn’t priority, so that’s how I got in. I might consider a priority scheme in the future though. And what about filming locations? 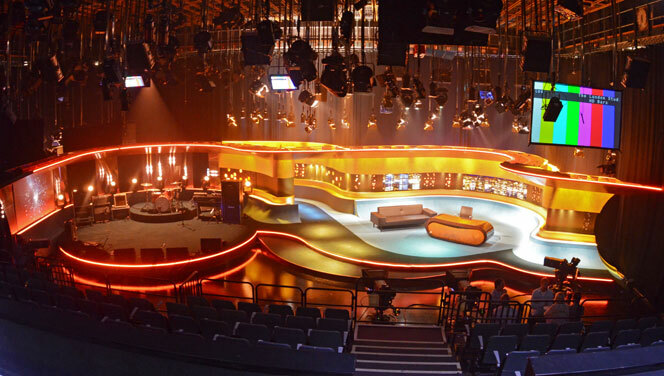 Well the most common ones tend to be based in London, such as the London Studios facilities on the South Bank (pictured above), where most of the big name shows tend to be filmed including The Paul O’Grady Show that I was at, as well as This Morning and Alan Carr: Chatty Man (we also filmed my segment in February 2012 for Olly’s ITV2 documentary Olly: Life on Murs at these studios. If you watch the episode I was in back, you can see the front of the studios quite clearly throughout). 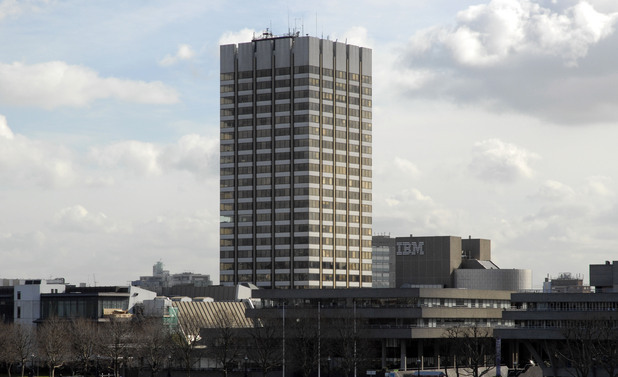 Other common ones used include Fountain Studios at Wembley, BBC Broadcasting House and Riverside Studios in Hammersmith, best known to pop music fans of the 90’s and 00’s as the studios used for filming TFI Friday with Chris Evans and the Saturday morning pop show CD:UK. Of course, there are other smaller studios used as well, so always check ahead to make sure you can travel there etc OK. So what about once you’re inside? Well, generally, as a rule you’ll have to turn your mobile phone off whilst filming’s happening A) for legal reasons and B) so it doesn’t interfere with any camera equipment etc. They also advise you to eat and use the loo beforehand as it can take anywhere up to three hours to record a show. You’ll also occasionally have to fill in a little disclaimer form that says you’re happy and agree for your likeness to be used in any of the aired footage prior to recording starting. And if it’s a studio based TV show like a chat show, they’ll usually have what’s called a compére to keep the crowd warmed up in between ad breaks and also the host and guests arriving. Our one for The Paul O’Grady Show was an energetic Northern guy, a comedian called Paddy who kept us laughing at all times. Also, just very occasionally, as a thank you for appearing in the audience, the agency or researchers looking after the audience for that show may give you a little gift for you to go home with. I don’t know if this happens at all TV shows, but it did at our filming, as we were informed that it was National BBQ Week last week (I know. It seems like there’s a national week or day for EVERYTHING these days). 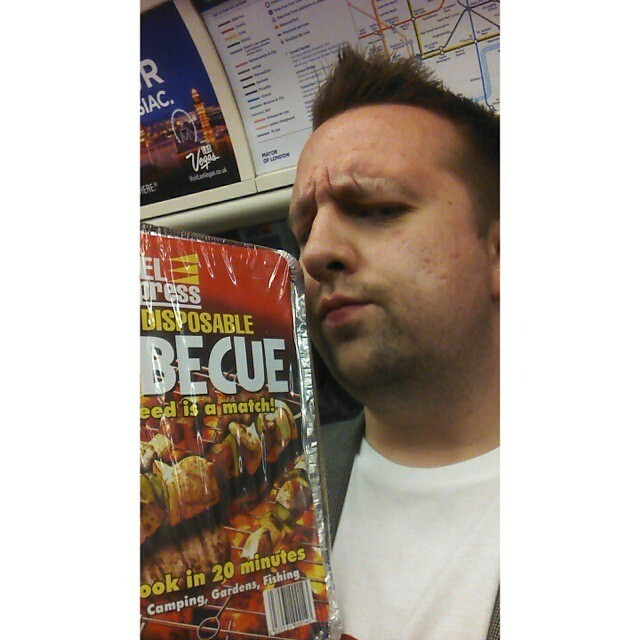 So Lost in TV kindly sent us all home with a free disposable BBQ for us to use this summer. As you can see I was REALLY impressed with mine! (I’m just kidding, if anyone at Lost in TV is reading this. My mum loved it anyway.) And that’s it really. I hope this blog today has been of help to anyone who was interested in my little pursuits and that maybe it’s inspired you to apply to be in a TV audience at some point in the future. If you ever do go to one, please Tweet me as I’d love to hear success stories etc. And may I also just say a big thanks to all the Lost in TV staff who made my time at the studios on Monday such a great one. Now shush please, quiet in the studio. 3, 2, 1…and ACTION! P.S. I met Olly again afterwards as well. And he still remembers me?! Absolute headtrip. Hello Olly if you are reading this, it was pleasure meeting you again dude! Next ›Inspiration: how do you get yours?